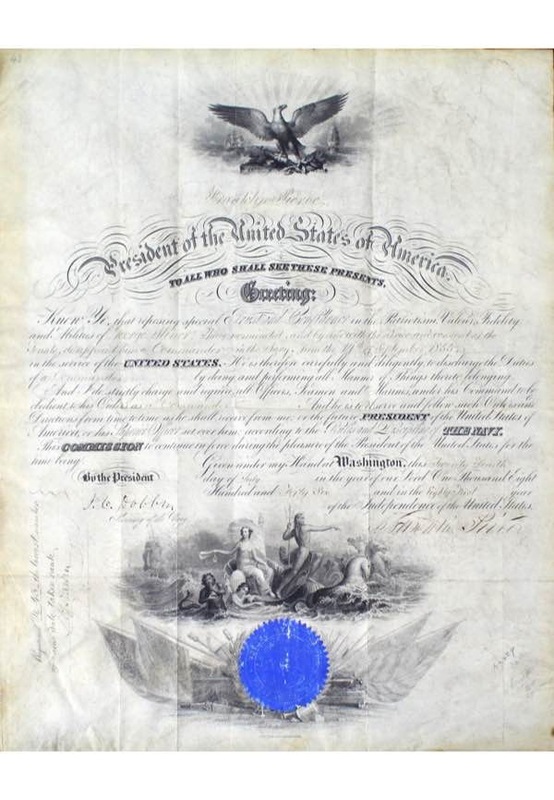 Across the top of all three documents reads “President of the United States of America”. Handwritten on one document appoints an individual as “Lieutenant in the Navy from the 15th of September 1855”, the other appoints an individual “Commander in the Navy from the 14th of September 1855” and the final appoints an individual “Commander in the Navy from the 14th of September 1855”. 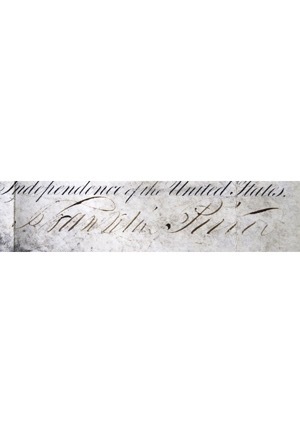 President Pierce signed the bottom right of all documents in black ink and in our opinion the signatures rate between 7-10 with vintage aging present. 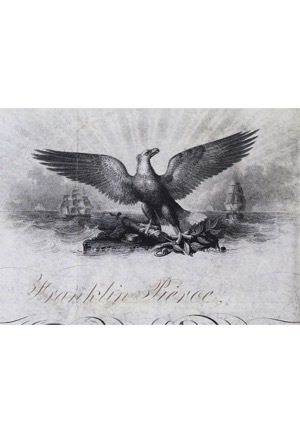 To the left of President Pierce’s signature is the signature of Secretary of the Navy James C. Dobbin. 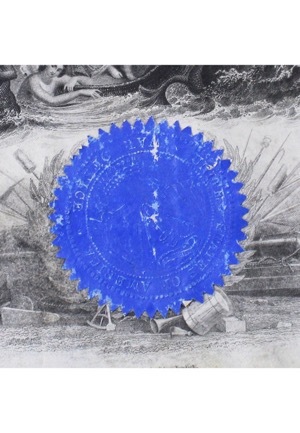 On the bottom of the documents is the appropriate United States Navy or War seal. Minor creasing and appropriate fading of the writing is seen in the documents. Accompanied by a LOA from JSA and a PSA/DNA LOA.